A cheaper alternative gel and acrylic nails remover. 2nd time buying from this seller. Thank you for the free gift. Highly Recommend written by mobile Item Received As Described.. Item received. Have not tried. Fast delivery, thank you for the free gift. Received within a week from ordering. speedy delivery. came with freebies. highly recommended! Received item nicely packed and bubble wrapped. Fast delivery. Thanks, seller for free gift of toe separator. Have yet to try it out. Item arrived within a few days! No problem. Will include the pump up dispenser bottle for you. Hi I would like to purchase the Acetone(250ml) + cuticle pusher. Can I get the 10pc nail clip as well? I couldn’t find any option for that. Please advise. Thanks! Our stock for clippers just arrived and have yet to update our listing. You may order 1 pumpup dispenser and leave a memo to us and state you need the clipper and we will mail accordingly. Noted with thanks. will send your order together via registered mail. Hi can I order and do self collection today? Where u stay? We only have mailing at the moment. Hi if I opted for normal mail under SingPost, how Long will it take to arrive ? Will be mailing tomorrow morning. Once mailed will update the status via Qoo10. SingPost usually takes 2-5 working days to process and deliver. Do not sometimes SingPost will have delayes when increase in packages/mailer. We note that you have put a note requiring white pump dispenser. Our white pump is currently oos. Left with purple only. Is that ok for you? We have mailed your order already. As mention in our listing. We will resume only after 21st April. No one is around to do mailing. 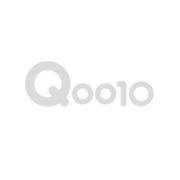 If you do not wish to wait you may do a refund via Qoo10. Can collect after 21 April so don't hv to wait for mailing. Sorry for the late reply. We only have mailing at the moment. Thank you for your understanding and sorry for the inconvenience caused. Hi I have placed an order and it says sent out since Mar 11 but I haven’t received anything. How Long doesn’t it normally take to reach? We have made a check, your item was send via singpost normal mail, so we can’t trace where is it now, usually singpost will take 2-5 working days, but they may have delays too. Do wait for a few more days. Hi, I have currently still not received the item, I have ordered other items via normal mail and it has reached already. May I know the reason why? We have mailed via singpost normal mail and there is no tracking available. We are unsure why as we have no control of singpost delivery. We do have afew buyers telling us they received after 3 weeks to 1 month. So we do appreciate if you can wait for a few more days. ★ 300 designs ★ Charms Beads Ornaments Pearls Crystals Flowers ★ Many More! 100% Pure Acetone Remover / Cleanser (1 Gallon 3.8L) Widely used in Nail Salons. $30!